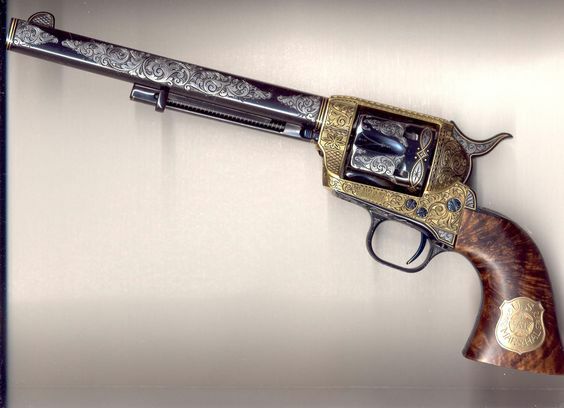 Revolvers were cool in the days of Wild Bill Hickok and they’re still cool now. They’re practical target guns, reliable self-defense tools, effective hunting implements, and in some cases…downright gorgeous pieces of firearms art. Don’t have one yet? Check out our Top .357 Magnum Revolvers. But how do you pick the best ammo for your revolver? As a competition shooter and law-enforcement officer, I’ve had my hands on revolvers quite a bit over the years. Let’s go over some common terminology first before diving into the best .38 Special and .357 Magnum ammo for home defense, target shooting, and hunting. There are many kinds of ammunition for modern .357 Magnum and .38 Special revolvers. Both of these revolvers have the same bullet diameter of .357 inch but the .357 Magnum has a slightly longer case. Well, as long as you are using .38 Special ammo you can fire it safely in any .357 Magnum revolver. Meaning if you have a revolver chambered in .357, you can fire both ammo types without any issues. But make sure you are not using .38-40 or .38 Short. 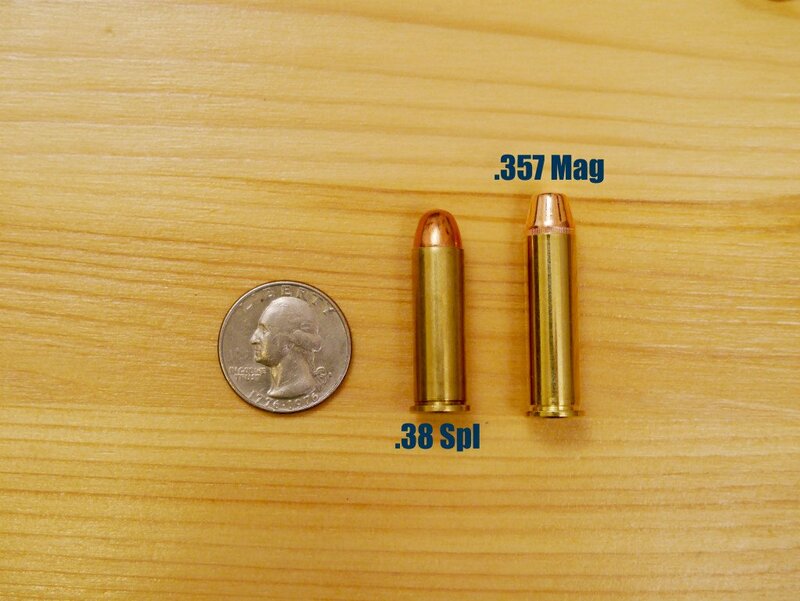 Don’t think that just because you can shoot .38 Special in a .357 Magnum that the reverse is true. This makes the cartridge too long for a .38 Special cylinder to close and lock most of the time. 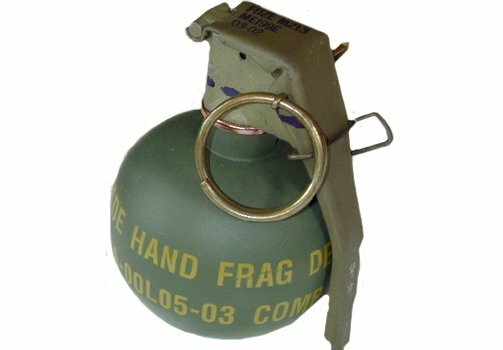 Putting a .357 Magnum round in a .38 Special takes the firearm from handgun to hand grenade. In most cases, this is not ideal. Alright, now let’s get to the fun stuff. You will find abbreviations on ammo boxes that combine the jacket, point, and nose type. For example, if you see SJ and HP in on the box, then you know the bullet features a Semi-Jacket and has a hollow point. Since there are many variations, it is best to learn the basic abbreviation and then apply them to each box of ammo. Jacket Type: A Full Metal Jacket (abbreviated FMJ) encases the sides of the softer lead core, but not the bottom. The “jacket” is a metal like copper that is harder than the enclosed lead. A Total Metal Jacket (TMJ) completely surrounds the lead core. TMJ’s are used with higher velocity rounds and larger amounts of powder. 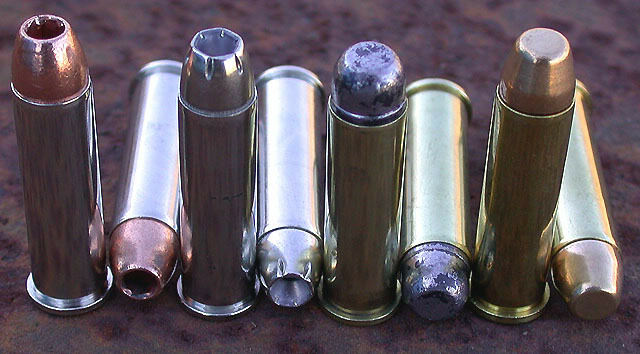 Semi-Jacketed Rounds (SJ) have a harder shell around the shaft of the bullet, but not the tip. Nose Type: Refers to the top of the projectile. The Lead Round Nose (LRN) refers to a bullet that has a smooth curve at the top. The Lead Flat Nose (LFN or Cowboy Action Load) is flat all the way across the top. Lead flat nosed bullets deliver better impact than round ones. Hollow Point vs. Soft Point: Hollow Pointed Bullets (HP) have a tip that expands so that a larger area of injury occurs. Soft Pointed (SP) bullets have a jacket that leaves part of a soft bullet tip exposed. The tip will still expand and deform, but at a greater rate than a standard hollow point. These are the standard self-defense rounds. As a bullet travels down the gun barrel…its speed depends on the amount of powder and weight of the projectile. The heavier the bullet the slower the velocity. 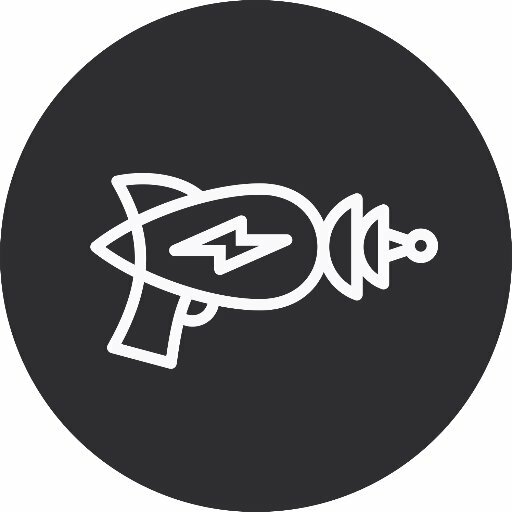 The speed at which it hits the ground or “bullet drop” is faster than for a light bullet. A heavy bullet in motion will be less affected by wind and other weather factors. Big, heavy bullets tend to do well in short-range defensive situations with a minimum of dangerous over-penetration (hitting someone or something behind your target). The lighter the bullet the faster it will travel. Lighter bullets have slower bullet drops, which can increase accuracy over long distances. While there is considerable controversy over whether heavier bullets are better than light ones, in reality, different situations need different bullets. 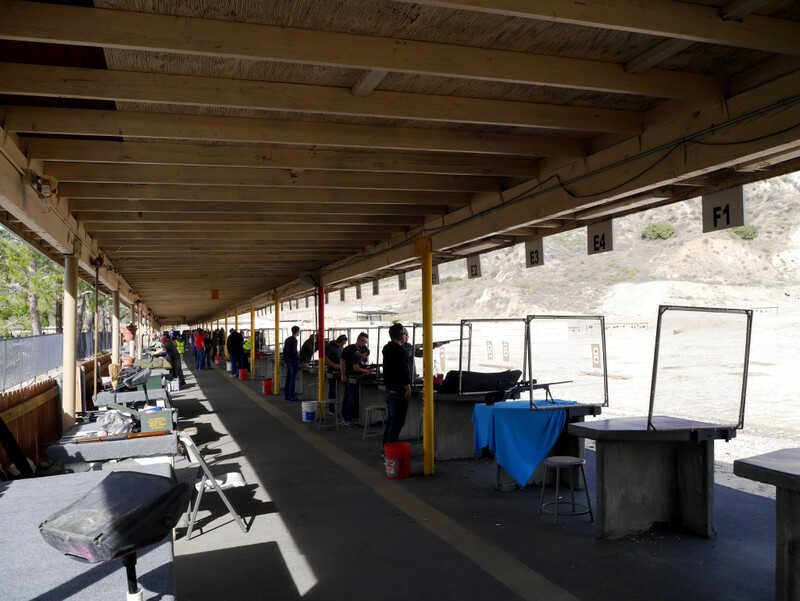 New and experienced shooters usually look for the cheapest ammo to use for practice. For beginners, it is just as important to choose ammo that has the least possible recoil. Light recoil gives better accuracy and also reduces developing bad shooting habits. Using the wrong ammo can cause you to flinch, breathe wrong, or even close your eyes while firing. Also, even the biggest, baddest dude at the gun range is going to get tired of shooting if the recoil is hurting his hands after a while. He just may not admit it. Now get ready for our recommendations. Most will come from Lucky Gunner…see why we like them in our Best Place to Buy Ammo Online article. The Sellier & Bellot 158 Grain FMJ is an excellent round. It shoots a 158 Grain FMJ bullet at a muzzle velocity of 1263 fps. It is excellent for target or as a training bullet. The Tula .357 Magnum 158 Grain FMJ is a good training round. It shoots a 158 Grain FMJ bullet at a muzzle velocity of 1280 fps. Shooting this round can be a little dirty though, so gun cleaning is mandatory after each shooting session. To help keep the price down this bullet uses a steel case so sometimes it might not eject easily for your revolver. The Fiocchi .357 Magnum 142 Grain FMJTC is an excellent round. It shoots a 142 Grain FMJTC bullet at a muzzle velocity of 1420 fps. This bullet is easy to control and manage when fired and is an excellent training round. The Federal American Eagle .38 Special 130 Grain FMJ is a good starting point. It shoots a 130 Grain FMJ bullet at a velocity of 890 fps. It is great for training or target practice. I like it because it has a low recoil and will not frighten new shooters. The Remington .38 Special 158 Grain LRN is also good training round due to its low recoil. It shoots a 158 Grain bullet at a velocity of 755 fps. 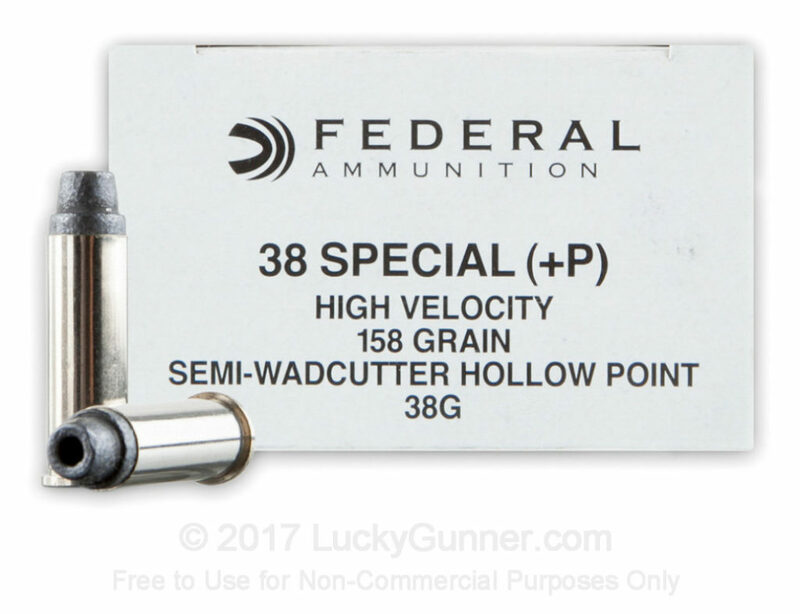 The Sellier & Bellot .38 Special 148 Grain WC is an excellent competition target round. It shoots a 148 Grain bullet at a velocity of 699 fps. With it’s low recoil there is little to disturb the sight picture. This is a good round for new shooters. In matters of self defense, your goal is to hit the target somewhere vital in order to neutralize the threat. The ammo will need to produce a lot of energy to produce the greatest amount of tissue damage and trauma. The bullets used for self defense are a bit more expensive than the ones you would use for target practice. Typically, Jacketed Hollow Points are the best choice for self-defense, just make sure you get a relatively fast round to ensure it expands properly. The Blazer Brass .357 Magnum 158 Grain JHP shoots a 158 Grain bullet at a muzzle velocity of 1250 fps. This bullet is heavy for a self-defense round. It has excellent high terminal performance and will get the job done. The Remington Golden Saber .357 Magnum 125 Grain JHP shoots a 125 Grain bullet at a muzzle velocity of 1220 fps. It is an excellent self-defense round that is designed to work well in longer barrel guns for maximum velocity. The Remington High Terminal Performance .38 Special+P 110 Grain SJHP. It shoots a 110 Grain bullet at a muzzle velocity of 995 fps. It is a high terminal performance bullet that has the capabilities to injure or kill. The Hornady Critical Defense .38 Special +P 110 Grain JHP FTX. It shoots a 110 Grain bullet at a muzzle velocity of 1010 fps. Hornady Critical Defense .38 Special +P 110 Grain JHP FTX. Editor’s Note: This is what I carry, and it has literally saved my life in a situation with a rabid dog. What’s your take? Expanding hollow point or soft point bullets are best for hunting because these bullets expand reliably and deliver the most kinetic energy into the animal. 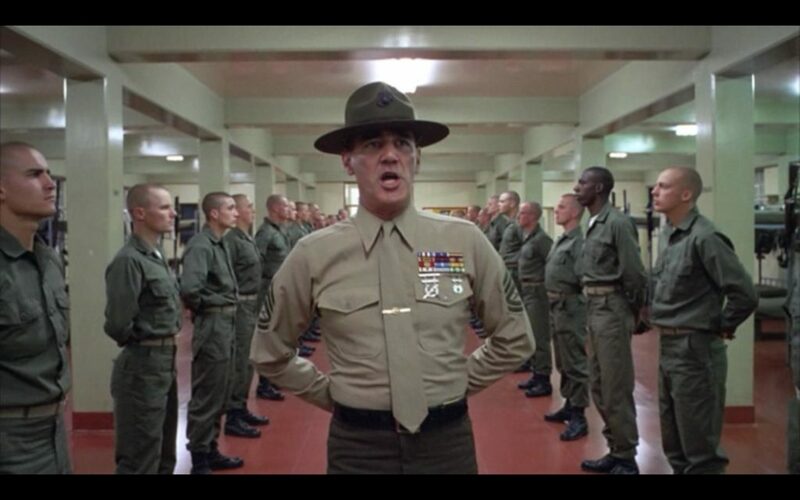 Never use full metal jacket bullets because they may pass through the animal without a humane kill. You’ll also want to make sure your round is powerful enough to ensure a humane kill, so if in doubt, go for the bigger boom. For hunting larger game over 100 lbs. with a .357 Magnum revolver I would use a bullet weight of at least 158 to 180 Grains with a heavy powder charge. For hunting smaller varieties of game 50 lbs. and under I have used a .38 Special revolver. I would use a bullet weight of 158 Grains in a .38 Special +P cartridge. 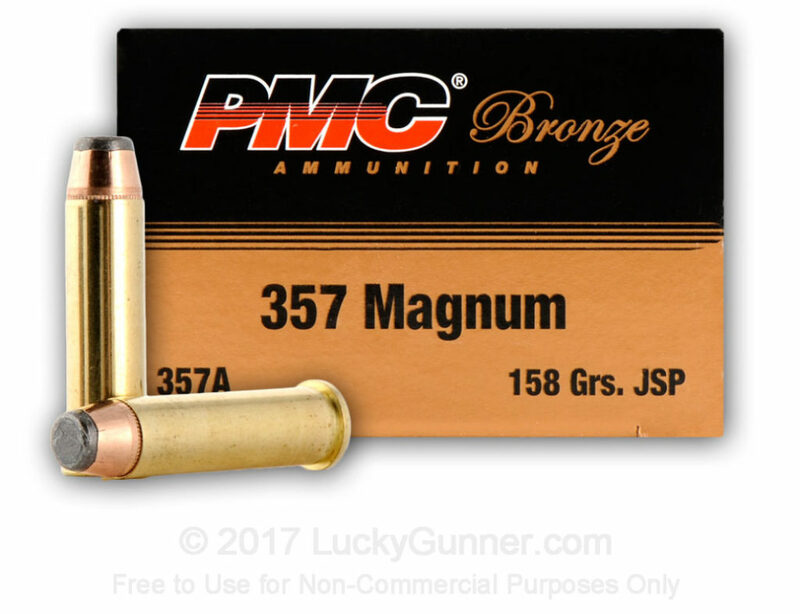 The PMC .357 Magnum 158 Grain JSP. It is an excellent deer hunting and wild boar hunting round, and can reliably and humanely take down this animals, or similarly sized animals. 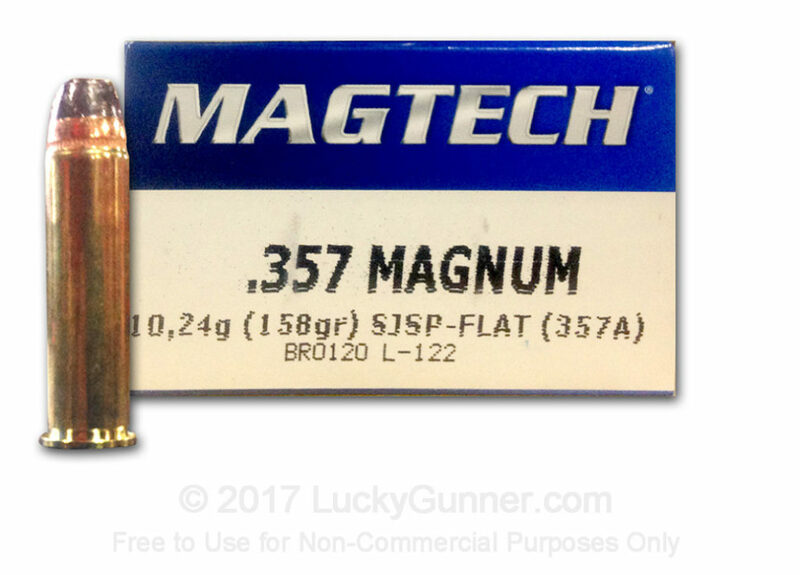 The Magtech .357 Magnum 158 Grain SJSP bullet. It shoots a 158 Grain bullet at a muzzle velocity of 1235 fps. The Federal American Eagle .357 Magnum 158 Grain JSP shoots a 158 Grain bullet at a muzzle velocity of 1240 fps. Another excellent round for whitetail-sized game. 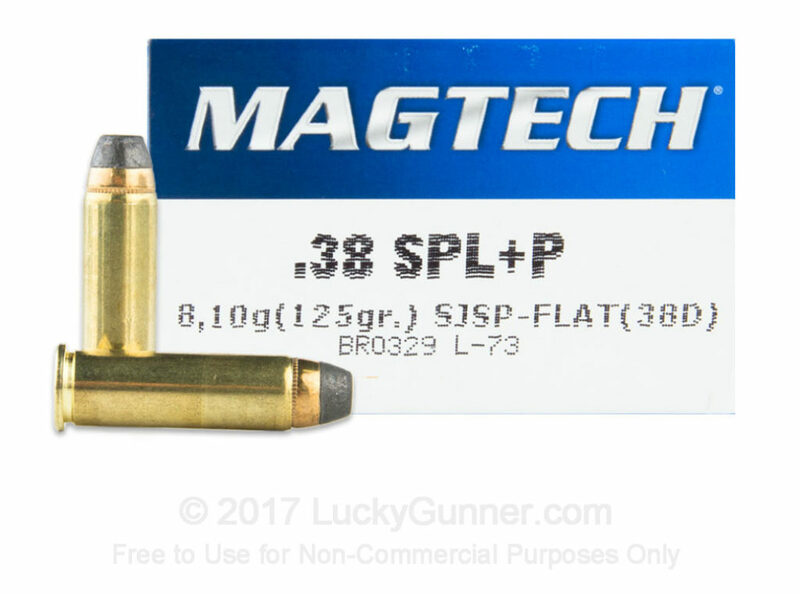 The Magtech 38 Special +P 125 Grain SJSP. It has a muzzle velocity of 938 fps. It is a good varmint hunting round. 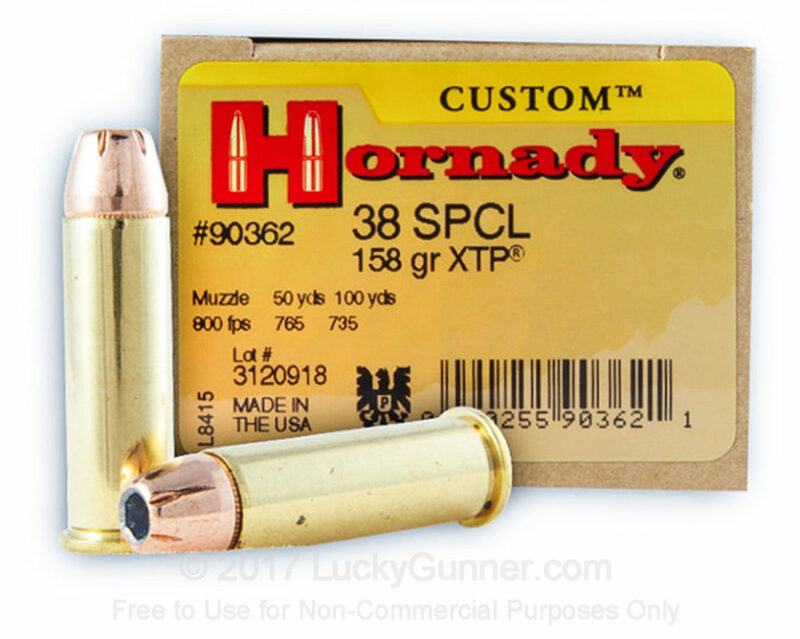 The Hornady JHP XTP .38 Special 158 Grain. It has a muzzle velocity of 800 fps. It is a good varmint hunting round that I have used in the past. The Federal LSWCHP .38 Special +P 158 Grain LSWCHP. It has a muzzle velocity of 900 fps. It is a good small game or varmint round. 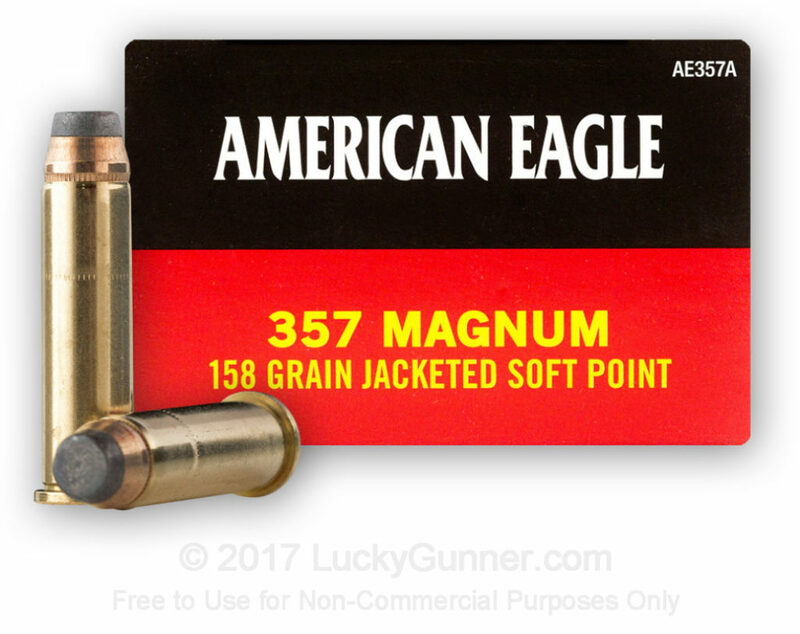 My thoughts and recommendations for picking the very best .357 Magnum or .38 Special ammo for your firearm. Follow these tips, get in some trigger time with a few different rounds, and you’ll be just fine. Any other ammo suggestions for home defense, plinking, or hunting? Good article. Very straightforward and minus all the caveats and disclaimers. Just a picky technical point though. Bullet drop is really based on the range a projectile has travelled according to it’s velocity Gravity acts on all bullets the same, regardless of mass or “weight”. All objects like bullets with neglible air drag coefficients, “drop” at the rate of 32 ft/sec². Again that’s regardless of whether the bullet weighs 110 grain or 158gr. Great read! Thanks for putting this together. I just bought myself a couple of Ruger Vaqueros and a Henry rifle all in .357 and was looking for good bullet info. You delivered! Thanks again! I have a question about ammo. I am newer to shooting, I recently purchased a smith and Wesson model 627 pc with a 2.6 inch barrel (snub nose) I took it to the range and am wondering if a lower grain .357 round would be best to practice with? The gun seems to handle the various loads I ran threw it but I’d like a professionals opinion of what round works best in a snub nose for accuracy and recoil control? •	The heavier the bullet, the slower the velocity (load dependent). The speed/velocity at which it hits the ground is SLOWER than for a light bullet. The distance it travels before hitting the ground is less than a light bullet. •	The lighter the bullet, the faster it will travel (load dependent). FASTER bullets have LESS bullet drop, which can increase accuracy over long distances. Galileo proved all objects drop at the same rate. Given the same flight time, the only difference is the distance covered before hitting the target/ground. Sorry for making a similar comment. I must have missed yours first time through.